It’s good to be digital and have a carbon footprint so little. Monday in Burma and Tuesday in Mexico. 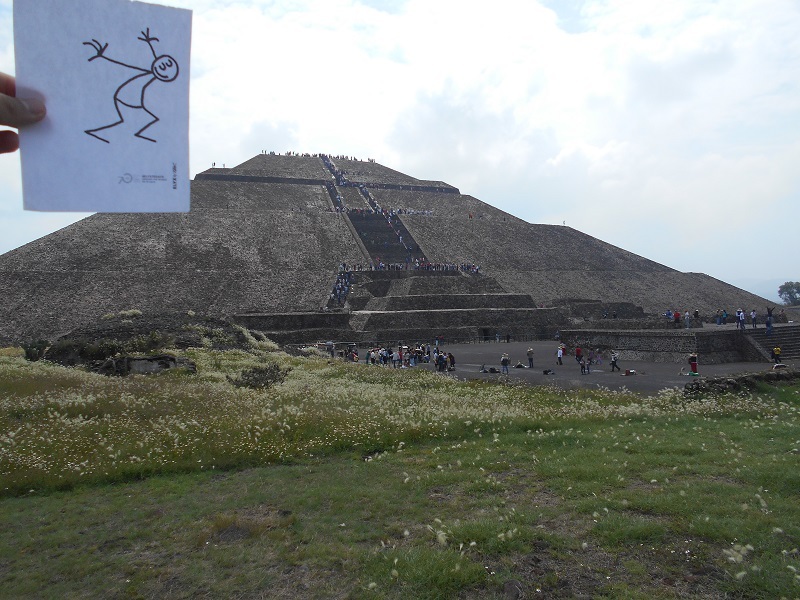 Elyx is thrilled to arrive in Mexico City the cradle of ancient Aztec civilization. 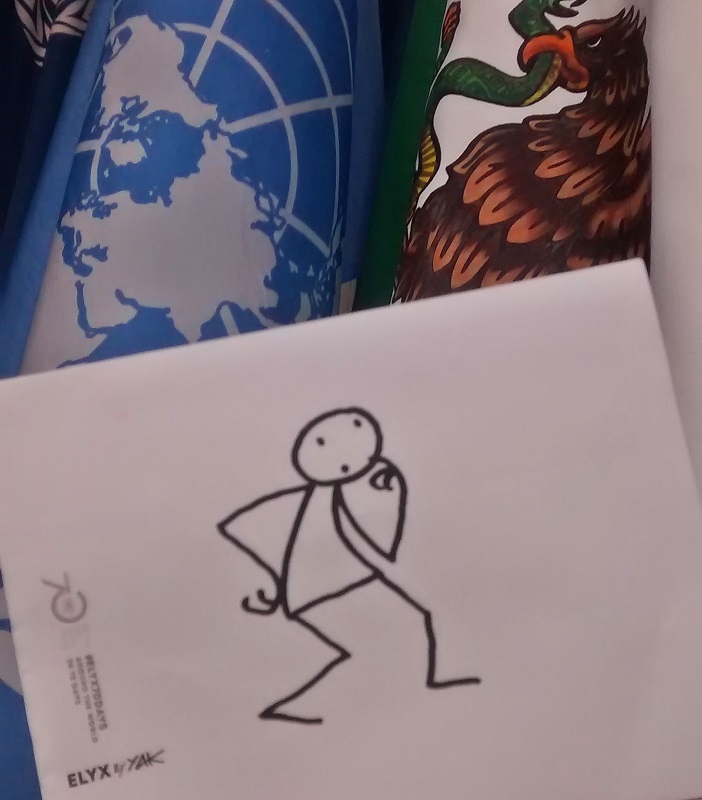 Elyx is very touched to be so warmly greeted by yet another group of UN colleagues in yet another country. Twenty three UN entities are based in Mexico, big family. 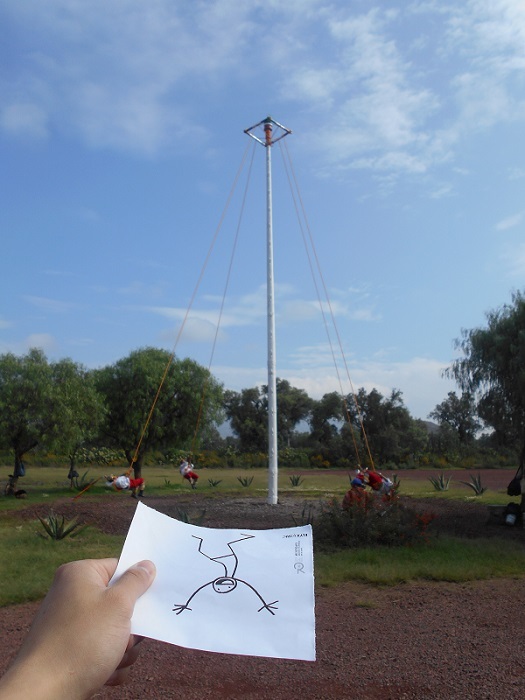 Elyx learns that Mexico is also amongst the 51 founding members of the UN. Mexico is also one of the top fifteen financial contributors, which demonstrates the strong and fruitful relationship between Mexico and the UN. 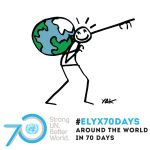 As fate would have it, Elyx’s trip has coincided with that of Zeid Ra’ad Al Hussein, the UN High Commissioner for Human Rights, also on a three-day mission to Mexico. Once in Mexico City, our digital ambassador visits some of the offices that lead crucial projects in the country. At the Mexican Office of the United Nations High Commissioner for Refugees (UNHCR), Elyx learned that a committed team helping out on migrations issues in the country. UNHCR in collaboration with the UNDP, UNFPA and UNODC, leads a program that seeks to improve human security and vulnerable migrants in transit along southern states of Mexico. At the Economic Commission for Latin America and the Caribbean (ECLAC) office, Elyx is impressed by the multi-agency work carried out for the prevention of gender violence in indigenous communities and the institutionalization of municipal public policies. Elyx ends the UN tour at the Food and Agriculture Organization (FAO), where colleagues tell Elyx about their work on water management and sanitation. Elyx is stunned by the epic murals of Mexico's greatest artists, including Diego Rivera, Jose Clemente Orozco and Rufino Tamayo. (Photo: CINU). Time for some cultural immersion. 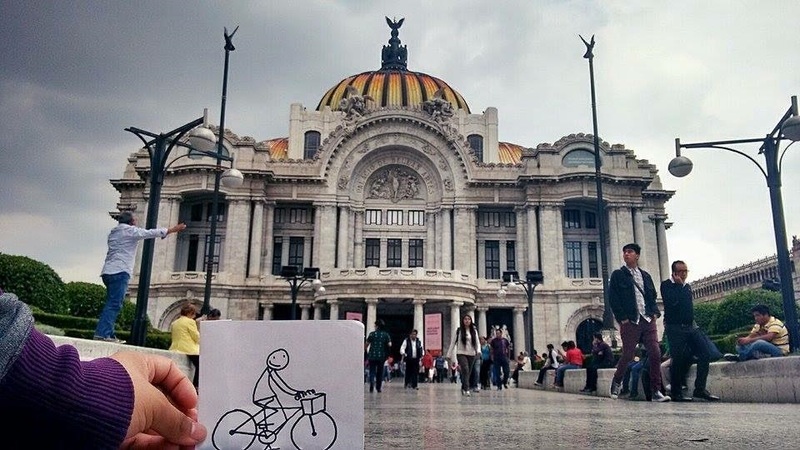 Elyx heads up to the Palacio de Bellas Artes. Considered one of the most beautiful buildings in the city, the Mexico Palace of Fine Arts is a harmonious synthesis of Art Nouveau, Art Deco, and Baroque styles. This top-class Palace documents Mexico’s fascinating art history and its endless creative verve. And now to the magical ancient ruins of the Aztec civilization. 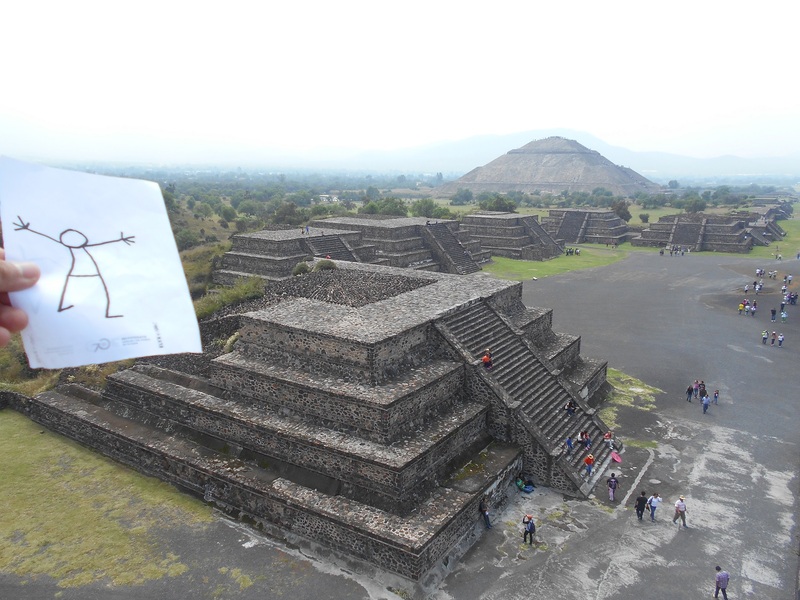 The holy city of Teotihuacan (‘the place where the gods were created’) is situated some 50 km north-east of Mexico City. Built between the 1st and 7th centuries A.D., it is characterized by the vast size of its monuments. As one of the most powerful cultural centres in Mesoamerica, Teotihuacan extended its cultural and artistic influence throughout the region, and even beyond. Impressed and curious about local traditions and the culture of indigenous people, our Ambassador joined the ritual ceremony of the Voladores (“flying men”). This ritual is a fertility dance performed by several ethnic groups in Mexico and Central America, to express respect for and harmony with the natural and spiritual worlds. Every variant of the dance brings to life the myth of the birth of the universe, so that the ritual ceremony of the Voladores expresses the worldview and values of the community, facilitates communication with the gods and invites prosperity. Elyx visits La Encrucijada, a natural reserve in Chiapas where UNEP empower local communities through sustainable business and conservation practices. 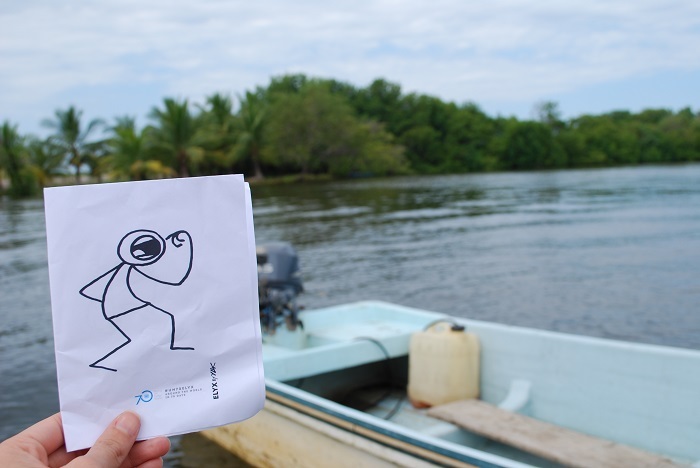 (Photo: ONU Mexico/UNEP). After mingling with local traditions, Elyx was invited to visit La Encrucijada, a natural reserve in Chiapas where the United Nations Environment Programme (UNEP) empower local communities through sustainable business and conservation practices. Our digital Ambassador’s trip to Mexico ends with some lectures at the Central University City Campus of the Universidad Nacional Autónoma de México (UNAM). 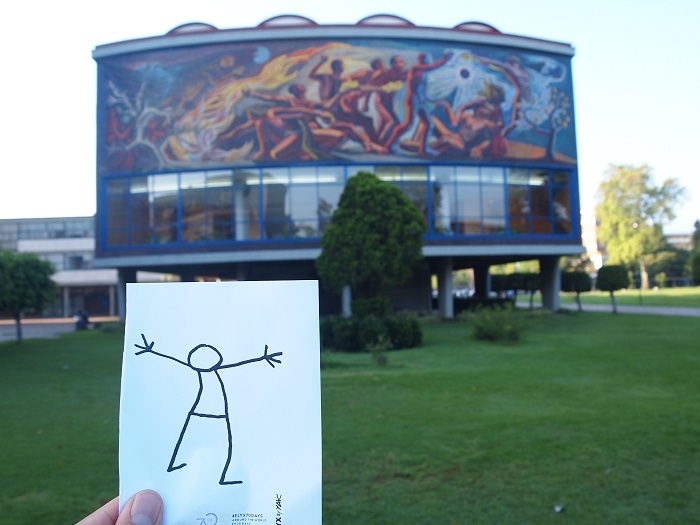 Elyx learned that the ensemble of buildings, sports facilities and open spaces of the University were built from 1949 to 1952 by more than 60 architects, engineers and artists. As a result, the campus constitutes a unique example of 20th-century modernism integrating urbanism, architecture, engineering, landscape design and fine arts with references to local traditions, especially to Mexico’s pre-Hispanic past. Wowed by the profusion of its cultural and historical wealth, and by the beauty of its natural parks and archaeological sites, Elyx said goodbye to Mexico in order to get ready for its next adventure!